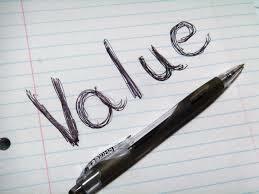 Thinking ahead for added value - Winningback | Shopping and Finance Blog, Reclaim your finances today! There are some big ticket sporting events that we all feel almost compelled to have a bet on. In the UK the Grand National steeplechase is the best example I can think of, but you could put the Breeders’ Cup, The Kentucky Derby, the Soccer World Cup or the Superbowl in there on the same basis. Some things just go with a bet like eggs and bacon – it’s just the way it is. Of course, that sort of universal event is meat and drink to the bookmakers. With thousands of ill-informed punters spraying their money around on the basis that they like a horse’s name, or the jockey’s colours, all the bookmakers have to do is make sure they’ve got their math right and the money will come rolling in. Now this isn’t a complaint against any of that. Bookmakers are entitled to make a living the same as the rest of us, and in the same spirit of open-hearted fairness, everyone is entitled to pick their horse on whatever basis they feel comfortable with. It may irritate the mathematically-minded amongst us, but hey – that’s our problem not theirs. There is no law that says a jockey in pink is less likely to win than anyone else. What makes the Grand National such a great example in this instance is that it is a famously tough race to call. Other than in the 1970s when it seemed that a bet on Red Rum was a near certain winner, predicting the outcome has been far from straightforward. The average starting price of the last ten winners is a cool 30/1. That’s how much of a lottery the thing is. Now I’ve nothing against lotteries, but in this context there is a way to at least get more bang for your buck. Assuming that you’re going to take a slightly more mature approach to the event than simply picking your favourite colour, here is a way to at least capture as much value as possible from your investment. The majority of bets will, predictably enough, be placed on the day of the race. Inevitably as money starts to follow money in the marketplace the prices of the leading fancies will tumble to the point where they are effectively not a viable proposition. Anything less than 10/1 is simply a bad bet in a race where only half the field are likely to even finish and where accidents and interruptions from unseated horses are all part of the fun. The only way to avoid that is to recognise that the diary is as it is, and that the race will go ahead on its scheduled day (ordinarily at least) and that in all probability you will be having a bet. Once you’ve taken all of that on board there is only one logical approach. Ante post betting is arguable as much of a lottery as the National itself. But for example, with prices being offered in December on an event which takes place in April it is possible to at least avoid the slide in the market that takes place as the race itself draws near. Maybe this logic only truly applies to an event as unpredictable as the Grand National – although the soccer World Cup could have been seen in much the same way – but betting long-term means that at least your long shots are going to come in at a rewarding price. As to how you go about selecting them, that requires a certain amount of early research even if it is bound to build a degree of chance to the selection process. Since its first running in 1839 the national has been won by a rider in pink on only four occasions.